The Vue Foot Muff is the best way to keep your child cozy and warm during the cold months. 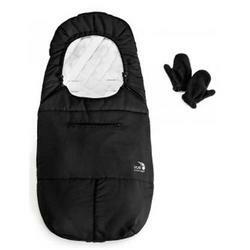 It is machine washable and even includes a pair of mittens in the front zippered pouch to keep your child’s hands warm. Suitable from newborns to approximately 2 years old.